AutoDesk TinkerCAD – This web-based application has become my favorite way to introduce 3D design to makers of all ages. It comes with accessible tutorials to help you understand the software quickly. I have used TinkerCAD.com to engage students as early as 3rd grade due to the high usability of this product. You can quickly export your 3D modeling content for 3D printing or online 3D printing services. Students LOVE being able to export their work to Minecraft too! Autodesk just added a “Minecraft” preview feature too! We also export “obj” files that we can use in Unity 3D. Shape Shifter – ShapeShifter.io enables you to build artistic 3D structures with just a few clicks. While this app isn’t your traditional 3D modeling tool, some of the art forms that you can build are impressive. You might find this application helpful in building a decorative cup holder, vase, or home decor. Sketchup – This application has become a standard in 3D modeling for home decor and building structures. Sketchup has content viewers for iOS, Android, and HoloLens. (not free) This mature 3D building tool comes with a robust set of tutorials and support community. 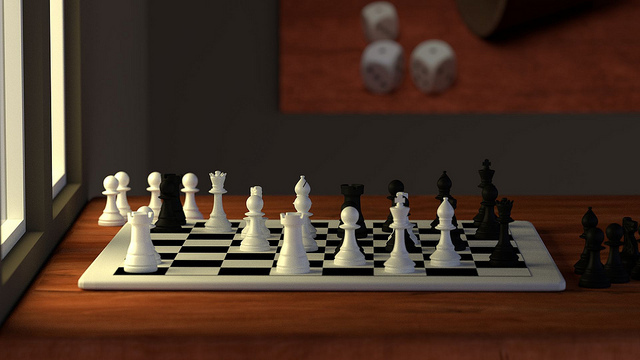 Blender: To be honest, I’m still in the process of learning Blender. According to Wikipedia, Blender is a “professional free and open-source 3D computer graphics software product used for creating animated films, visual effects, art, 3D printed models, interactive 3D applications and video games.” This open source software supports impressive features including soft body simulation, sculpting, rendering, and an integrated game engine. While this is one of the most challenging 3D modeling tools to learn, you can leverage a robust community of YouTube tutorials for Blender or the Blender manual. Onshape: This relatively new 3D modeling tool has become a favorite for adult makers and professionals. Many of my maker space friends celebrate the robust tutorial system and standard parts collection. The tool can model the movement of assemblies of 3D parts. The OnShape team has designed their product to serve distributed professional teams who enjoy working an online cloud solution. You can learn more about on their YouTube channel. Sculptris: This application by Pixologic provides an introduction to CG 3D modeling especially for artists. This product focuses on the “sculpture” metaphor of building 3D content. It seems very appropriate for building organic 3D structures, animals, or characters. Learn more at http://pixologic.com/sculptris/. Keep in mind that this blog post only scratches the surface of free products. AutoDesk offers free products for hobbyists, students, and educators. This blog post outlines 20 additional free 3D modeling tools. We enjoy hearing from you! Let us know if you make anything cool. Leave a comment below.